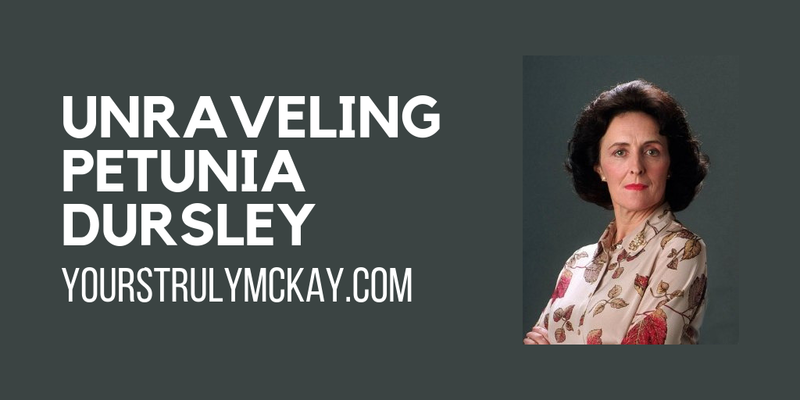 Although she is just a supporting character in the Harry Potter series, I think that Petunia Dursley (née Evans) is one of the most complex. From a young age, Harry is abused and neglected by the Dursleys; a family so concerned with their own self-image sure acted out in the most despicable of ways. Harry is lied to about his parents. Dudley is encouraged to physically abuse his cousin (hello Smeltings stick). And Vernon is so desperate to get away from the Hogwarts letters that he sails in a storm, endangering his entire family. And all of that is just in the first few chapters of Sorcerer’s Stone! They are easily some of - if not the - most selfish characters in the entire series. It’s not until Harry finds out that he is a wizard that we too learn just how much Petunia despises her sister and the burden of Harry. 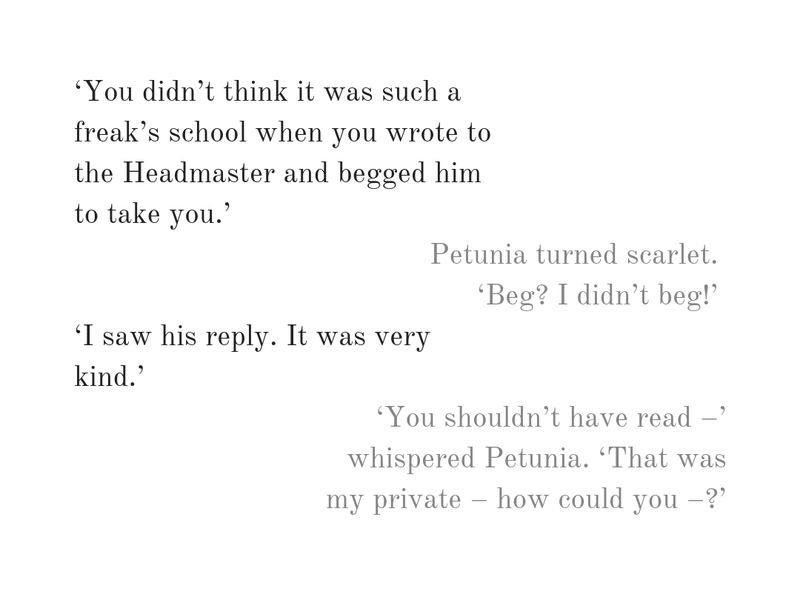 It’s actually pretty surprising to me that we don’t hear of feelings like Petunia’s more often when there is a Muggle-born witch or wizard. I cannot fathom what it would be like to have just one sibling and to suddenly seem completely untalented and useless (even if that was not the intention) just because you didn’t have magical powers like they did. In a family accepting of the wizarding world like the Evanses’, Lily was praised. And Petunia was left to be jealous of the attention that she was getting. Ron Weasley spent years being jealous of Harry, but he put his feelings aside daily. As the youngest of six boys, with Fred and George just his elders, it’s safe to assume that Ron did not often get the attention that he deserved. Now, I’m not ragging on Molly Weasley, because let’s be real, she’s the true heroine of the series (sorry Hermione). My point is just that Ron was often overlooked, with no real break from it. At least Lily was gone, what, like ten months out of the year and Petunia would have her parents to herself at those times. Yet Petunia harborded this bitterness, this anger toward Lily even after she died. Ron loved and supported Harry, so it’s hard to empathize with Petunia with his example hanging around. In Deathly Hallows, we learn even more about the cause of Petunia’s feelings toward Lily. 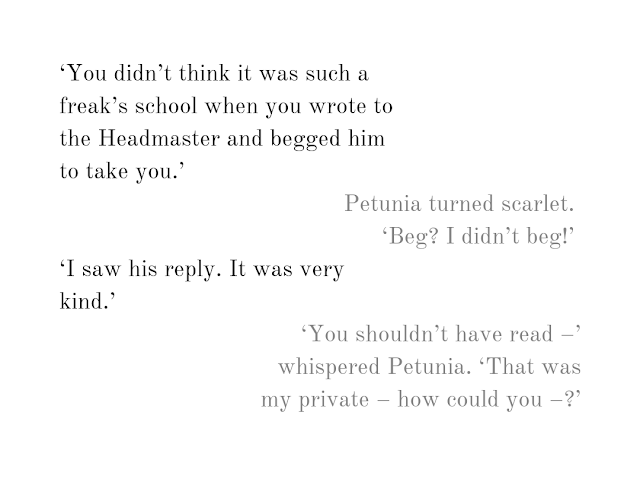 Petunia Evans - a prideful woman in adulthood - wrote to Albus Dumbledore as a child, asking to be accepted into Hogwarts. She wanted to be as special, as talented, and as magical as her little sister. When Dumbledore explained, however, that it would not be possible, we see the complete 180 in Petunia’s character. She had once loved Lily, admired her magical abilities. Now she despised her and wanted nothing to do with magic. At that point, she was with Vernon - hater of all things abnormal, thank you very much. On Pottermore, we learn that “once married, Petunia grew ever more like Vernon.” Later in life, “Petunia had some latent feelings of guilt about the way she had cut Lily (whom she knew, in her secret heart, had always loved her) out of her life, but these were buried under considerable jealousy and bitterness.” Even when she felt that regret, she had to continue the charade, because her pride mattered more to her than the health and happiness of her sister’s son. Hi, it's me, professional nerd, who tweeted at Pottermore that they may want to adjust that to say "six books"
Petunia made a lot of terrible choices in life, and she didn’t even get any sort of character redemption in the end (rightfully so). Something inside me, however, wants to understand her more. I think that (as J.K. Rowling said above) she acts consistently throughout the story, and it’s hard to not feel bad for her - her life was overtaken by Harry, by her fear of dark magic (which was just about all of the magic she ever heard about), by her never-ending concern with her image. She lived a dreadful life and had a heart full of resentment, something that I wouldn’t wish on anyone. I’m not saying that she necessarily deserves our sympathy, but her actions (at times) are understandable. Unfortunately, she made most of her own misery. Just as Harry, Petunia had lost her family. Her parents were dead. She removed herself from her sister’s life, and Lily had died before she could change her mind. She clung to Vernon and Dudley, the people that she could count on, because that’s all that she had anymore. She was a nasty woman who didn’t have a life outside of gossip and judgment. She was severe and cruel and Harry did not deserve to be treated as he was. 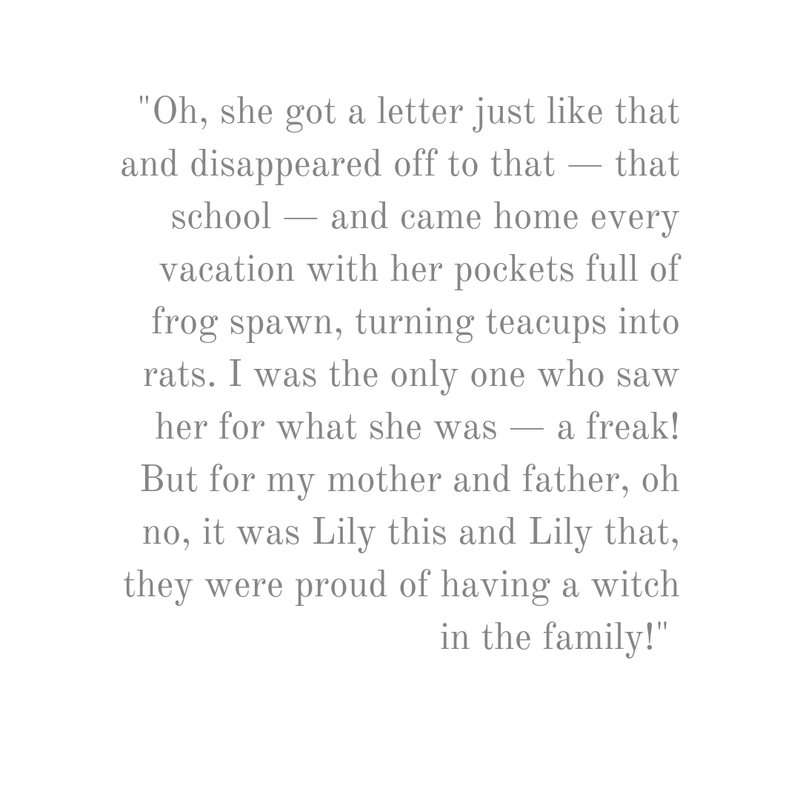 In my opinion, had Petunia gone to Hogwarts, she would be placed into Slytherin, not because she was evil (because we all know that’s not an actual Slytherin characteristic), but because she did what it took to survive and protect her family (Harry excluded). Petunia was looking out for herself and for the people that mattered to her, so she acted defensively. I’m not justifying her actions, but if you really really reach, you can start to see from Petunia’s perspective. She built a very high wall, and unlike Platform 9 ¾, this one couldn’t be penetrated.